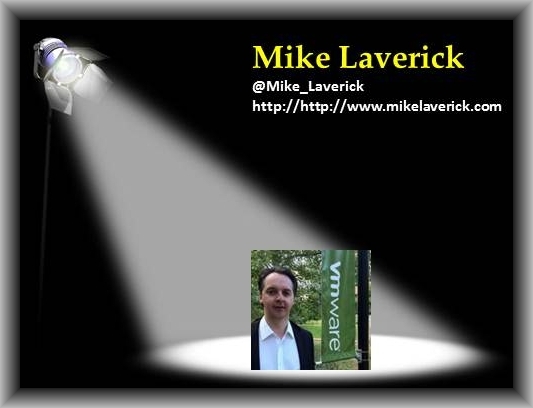 2015 March » Welcome to vSphere-land! I’ll be participating as one of the panelists in an upcoming round-table discussion on Virtual Volumes (VVols) that is being hosted by Tom Fenton of the Taneja Group. Click the image below to sign-up and hope to see you there. Join us for a fast-paced and informative 60-minute roundtable as we discuss one of the hottest topics in the datacenter: VMware vSphere Virtual Volumes (VVOLs). VVOLs is the industry’s first solution to enable native virtual machine-awareness across a broad range of SAN/NAS arrays. 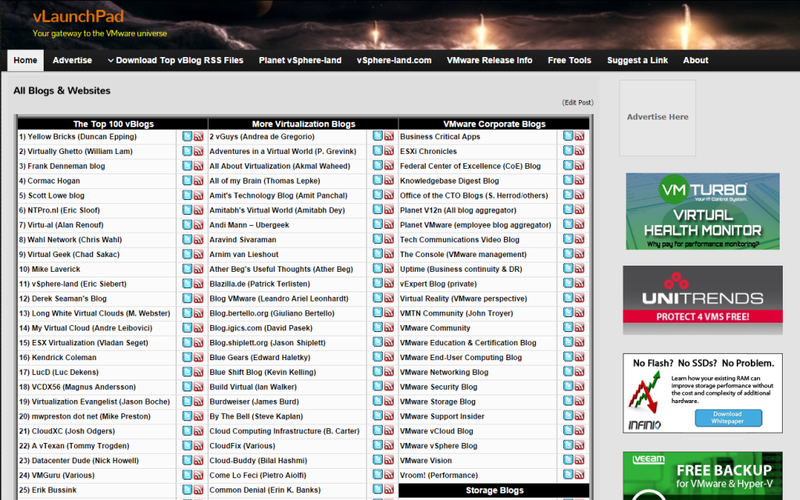 VVOLs will be packaged as a feature in VMware vSphere Standard Edition and above as well as in VMware vSphere ROBO editions, and is seeing a groundswell of interest from IT professionals, especially those involved in datacenter operations. The panel includes VVOL experts from four major vendors that have announced they will be implementing VVOLs into their storage. 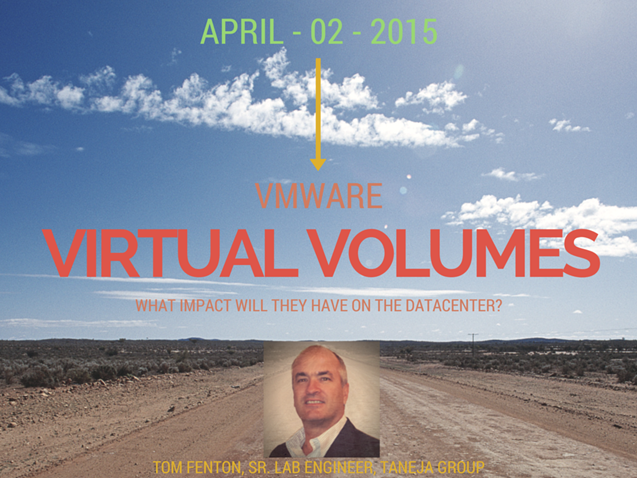 Some of the questions we will be asking them include: What immediate impact will VVOLs have on the datacenter? 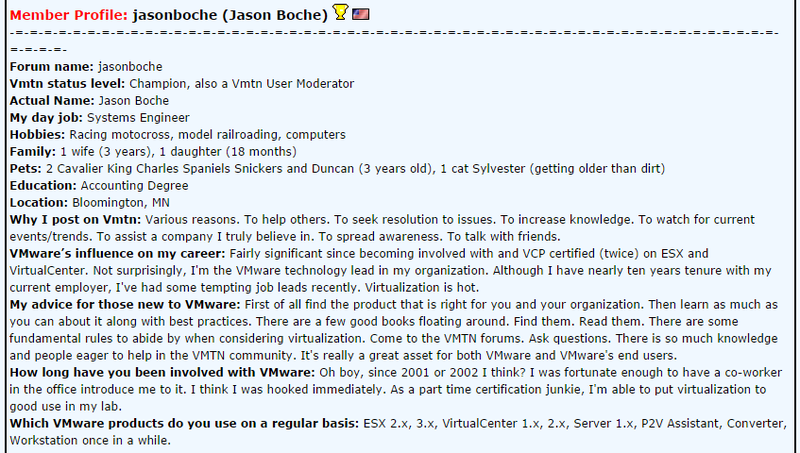 What should the early adopters look for in a VVOL-based storage solution? Should datacenters start to implement VVOLs right away or wait for VVOL.next? I was conversing with one of our VVol engineers today after he mentioned that we have seen customers experiencing problems with using VVols due to time sync issues in their vSphere environment. These problems could of easily been avoided with some simple RTFMing. VMware’s New Virtual Volumes (VVols) architecture has a lot of moving parts and one big requirement for those parts to all work together is to have time synced between them. The below diagram depicts the vSphere components that are part of the VASA 2.0 specification which defines vendor VVol implementations. Time Protocol (NTP) to do this synchronization. During the initial setup of VVols if the time between your vCenter Server and storage array are out of sync when you try and register your VASA Provider it will fail with a cryptic error message which won’t indicate that the failure was caused by time not being in sync..
Once you register your VASA Provider and try and use VVols if your ESXi hosts are out of sync as well you may not be able to create a VM on VVol storage. What could occur in this scenario is that the VVol datastore reports zero space available so you are unable to select it as storage device when creating a new VM. Again not something that you would attribute to time being out of sync. 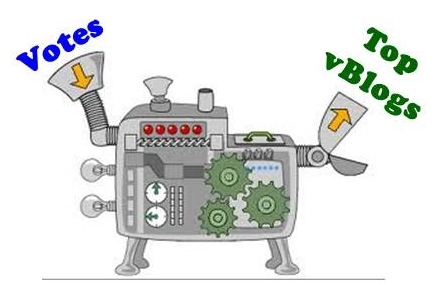 There may very well be more issues with using VVols that occur due to time not being in sync between all components. There are also time stamps that are used with VVols that could potentially cause problems if the time is off. These issues may all not be obviously related to time so to save yourself from potential problems and troubleshooting just make sure you have all your clocks in sync. The polls have closed after being open for just over 2 weeks and over 2,200 people have voted which is a new record high compared to the 1,400 last year. So what’s next? I have to run all the votes through my vote processing contraption to determine the results, hopefully we don’t run into any issues with hanging chads. It’s not a terribly efficient machine so this process will take about a week to complete. After that stay tuned for the live Top vBlog Results Show featuring myself, John Troyer, David Davis, Simon Seagrave and Infinio coming to a Google Hangout near you. [Scott] My first article was published in early May of 2005. At first I ran it on an internal-only installation of WordPress, but moved it to a public hosting provider within just a couple of months. 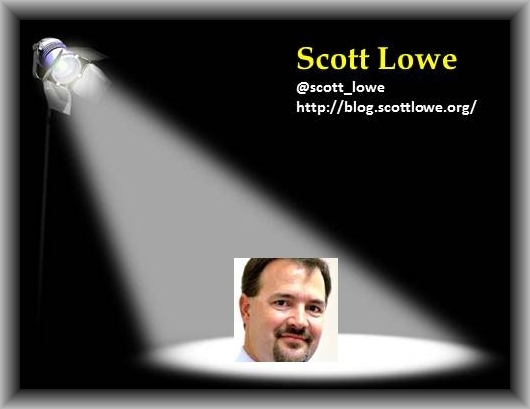 [Scott] Like others, my blog started out as a sort of “knowledge base” for myself. I would find solutions to these problems, but 6 months later when I ran into the same problem again I couldn’t remember how I’d solved it. The blog was an attempt to help with that problem. [Scott] If you go back and look at the early blog entries, they were more like journal entries. I talked about a technical project I’d started or a fix I’d found, but the posts were really more for myself. After about six months to a year, I “found my voice” and started speaking more to an external audience (even though the blog had hardly any followers at the time, it somehow felt natural to write that way—hence “finding my voice”). From there, my writing voice has evolved as I’ve grown and changed. I would even go so far as to say that my writing voice has, in some cases, been a contributing or driving factor in how I’ve grown and changed. [Scott] I think it’s because I’ve always enjoyed being able to help others learn and understand new things. I enjoyed working as an instructor and trainer early in my career, and I think I’ve carried a fondness for “teaching” ever since. Writing about technologies, projects, products, and trends has been like an outlet for me to share both my passion for technology as well as my passion for helping others understand technology. [Scott] That’s a tough question! There have been some good experiences as well as some not-so-good experiences. I suppose if I had to pick only one experience it would be a story I heard from a co-worker when I was working for a reseller on the US East Coast (this was before I moved to Denver). A sales person and an SE went into an account to talk about winning the opportunity to do a virtualization project for this company. The technical guys at this company talked about this article they’d read online and how they wanted to use the architecture proposed by this article for this project. When the sales rep and the SE asked about the article, the customer responded with “It was written by this guy, Scott Lowe.” The sales rep and the SE just laughed and said, “You know he works for us, right?” Needless to say, we got the opportunity to do the project (and yes, I worked on the project). I think it was a bit of an eye-opener for me personally—I knew that others knew of me, but didn’t understand the potential impact my work might have. [Scott] I’m assuming since you used the phrase “new to blogging” that we’re talking about someone who has already started blogging. In that case, I’d have to say to keep this phrase in mind: “The perfect is the enemy of the good.” Your articles don’t have to be perfect. Your site’s layout doesn’t have to be perfect. Certainly strive for excellence, but don’t obsess over perfection to the point you don’t actually write. In the end, it’s OK to publish an article that may not be as complete as you’d originally planned, or may not be as in-depth as you’d first envisioned (this latter point is something with which I personally wrestle from time to time). It’s likely that someone will still find value in it, and over time you’ll learn how best to structure your content and writing. 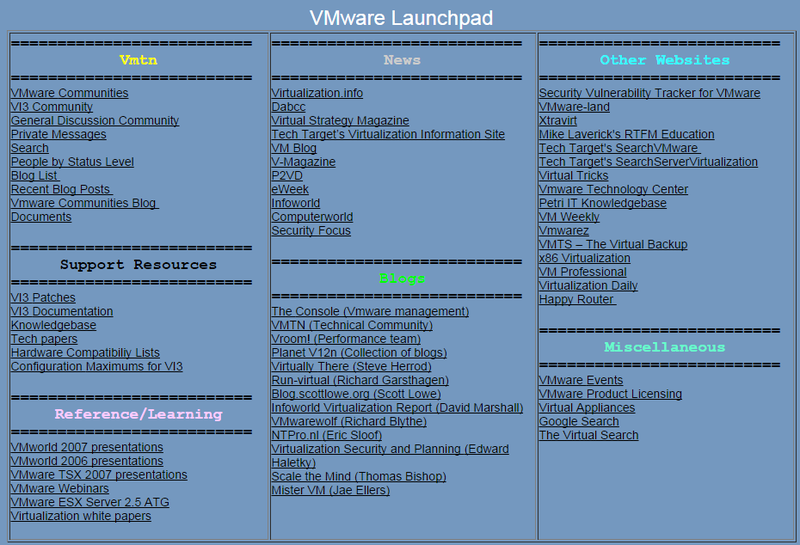 I recently dug into some of my website design archives and came across many version of how the vLaunchpad has grown and evolved over the last 8 years. Because is contains links to all the blogs out there this time capsule serves to illustrate how bloggers have evolved and gorwn over the years. 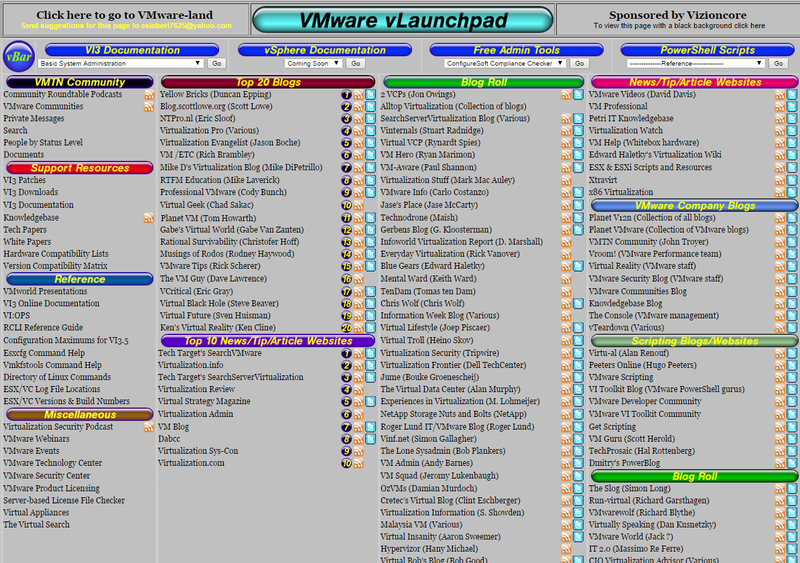 The earliest version of the vLaunchpad had very few blogs listed as ther ejust wasn’t many people bloggin back then. 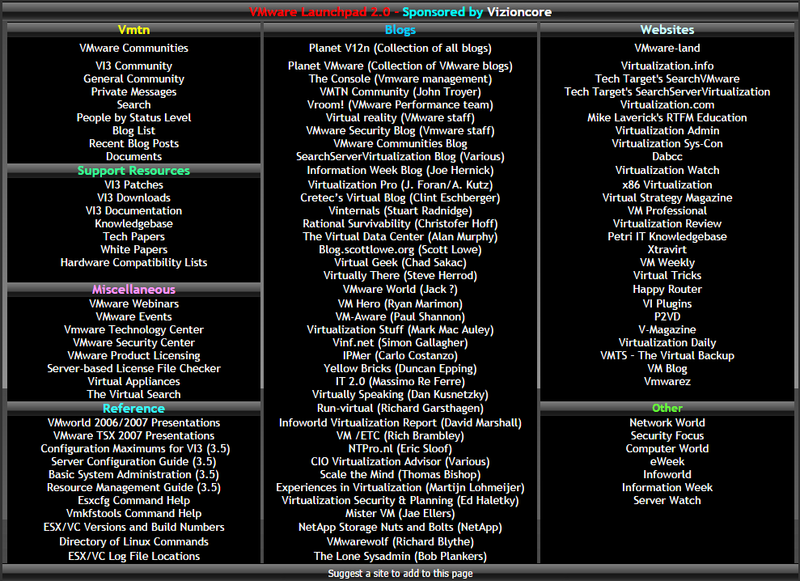 Over the years that has steadily grown as the current version of the vLaunchpad has over 400 active blogs listed on it. According to the vSphere 6 Storage documentation on page 151, NFS 4.1 does not support the Fault Tolerance (FT) availability feature in vSphere, however on page 153 of that same documentation (see chart below) it is listed as supported. VMware needs to clarify this contradiction in their documentation. VMs on NFS v4.1 support FT, as long as it is the new FT mechanism introduced in 6.0. 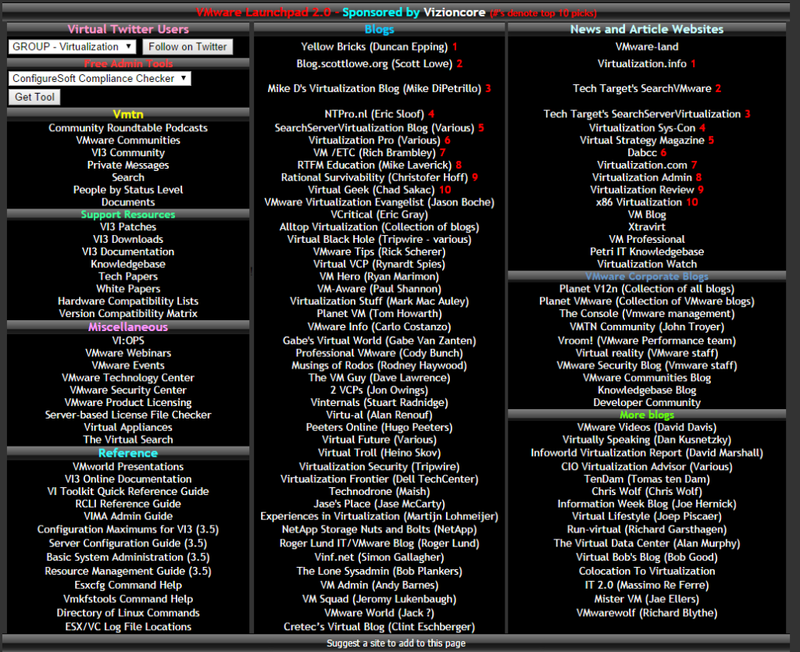 VMs running on NFS v4.1 do not support the old, legacy FT mechanism. For more information on implementing NFS v4.1 read through the vSphere 6 Storage Documentation.